Cricklade Band News January 2011. Royal Wootton Bassett and Cricklade CAN! 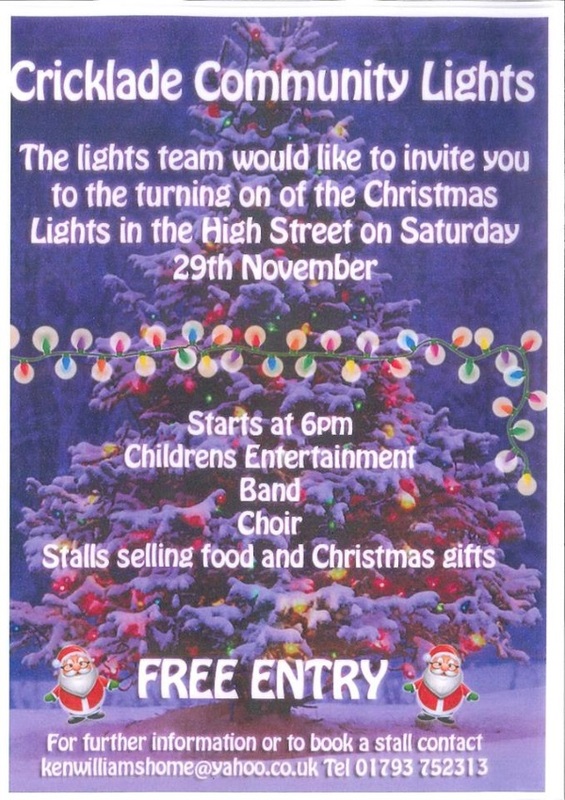 Cricklade Community Lights up on Saturday 29th. November from 6.00pm. BBC – Weather Centre – Forecast for Cricklade, Wiltshire, UK.